Consumers’ Checkbook, a nonprofit organization that rates healthcare providers and service companies in the United States, has created a new web site that aims to help patients find the best surgeons within a certain radius of their zip code. 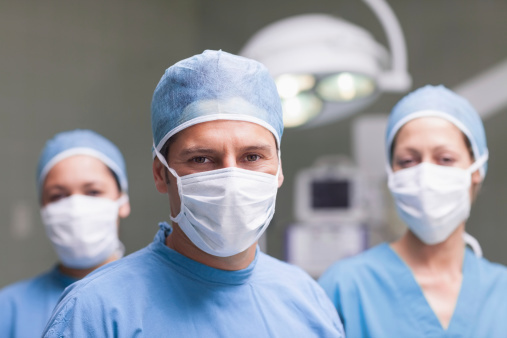 SurgeonRatings.org assesses surgeon performance across 14 different surgery types, including heart valve and bypass surgery, hip or knee replacement, bowel surgery, and spinal fusion surgery, among others. Based on the zip code inputted by the user, the site provides results within a specific area of that zip code of the top surgeons based on lowest complication or death rates from operations. SurgeonRatings.org looks at the death rates of a surgeon’s patients during the operation itself and for the 90-day period following the operation. This rate was compared to the “predicted” death rate, where the outcomes were held against the average expectancies with similar patients nationwide. This helped even out discrepancies that would, for example, cause a surgeon who regularly treats higher-risk patients or procedures (such as those with malnutrition, diabetes, or other secondary diagnoses) to appear worse than a surgeon who operates on less complex cases. The comparison was then used to form the surgeon’s “adjusted” death rate, which determined the overall rating for that surgeon. Although only Medicare data is used, comparison to other information when available showed that surgeon performance on Medicare patients is consistent with their performance on other patients as well. In addition, surgeons who had the lowest adjusted death rates were among those that other surveys showed to be the most preferred surgeons whom doctors would choose to operate on themselves or a loved one. Since the goal is to help patients find quality surgeons, only those who showed above-average outcomes are listed on the site. If a surgeon is absent, then they have either not performed enough Medicare-funded procedures to provide usable data or they scored at or below average. SurgeonRatings.org admits that its findings are not ironclad. The site’s rankings focused mostly on death rates and it does not fully consider other post-operation developments. In addition, the site notes that it is not always possible to tell whether a patient death within the 90-day post-op window was related to medical care or not (such as the patient’s death resulting from a car accident), but assumes such outcomes are evenly distributed throughout the data. Since the data available only cover cases from between 2009 and 2012, there is also a three-year gap in which surgical practices may have changed as well. Despite its faults, however, the web site remains an ambitious attempt to provide more transparency to a complicated field and to give patients another tool in determining their care. The web site uses data obtained from Medicare fee-for-service records to establish its rankings. Acquiring the data required Consumers’ Checkbook to sue the federal government for access to previously confidential data in 2006; the information wasn’t fully released until October of 2014. Smart, B., “Confidential Data on Surgeons Now Released, Searchable – CNN.com,” CNN web site, July 15, 2015; http://www.cnn.com/2015/07/14/health/confidential-data-doctor-shopping/index.html. “More About Our Measures of Outcomes,” SurgeonRatings.org; http://www.checkbook.org/surgeonratings/?action=article&articleID=more-about-our-measures-of-outcomes, last accessed July 17, 2015.